More than 200,000 people visit Wrightsville Beach each year. They come for the beautiful beaches, crystal clear water and world class spring and summer fishing. Wrightsville Beach geography is one of the best on the East Coast as it sits on a point coming of the Onslow Bay. Lots of migratory fish stop and feed on the abundance of bait. Wrightsville Beach also has five inlets near by. Masonboro has a large rock jetty which is know worldwide for the amount of fish there in the Fall. Wrightsville Beach also has wildlife which can only be seen in this area. Loggerhead and Leatherback Turtles spawn on our beaches every year. Over 500 species of birds call Wrightsville Beach home. Both the turtles and the birds are protected by sanctuaries all over the island and are easy to see in their natural habitat. If you are a lover of nature, this is a must see! Of course Wrightsville Beach fishing is incredible. Sailfish, King, Mahi, Grouper and many species of sharks can be caught within sight of land. There are a couple of restaurants locally that will even cook your catch for you, so you can enjoy it fresh! 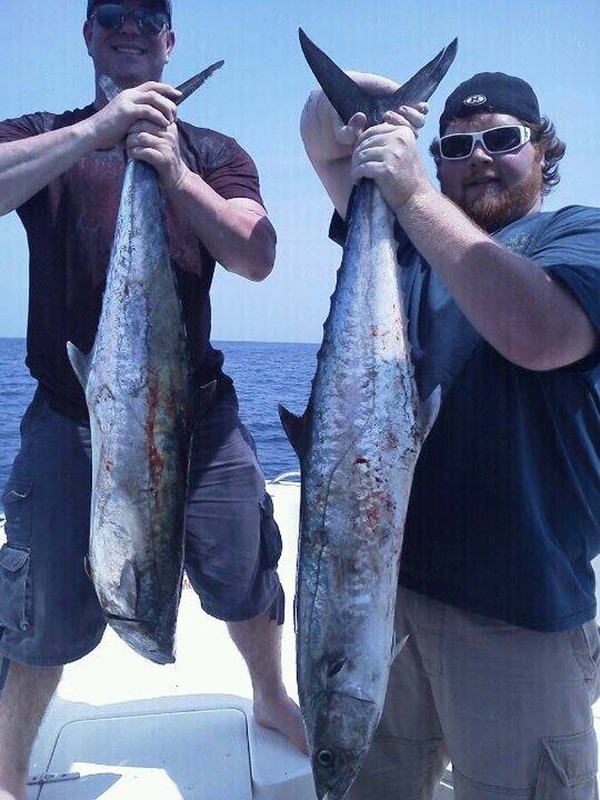 Book A Wrightsville Beach Fishing Charter!